A Villanelle about Villanelles! I'm a soft touch for such conceits.A DAINTY thing's the Villanelle,Sly, musical, a jewel in rhyme,It serves its purpose passing well.A double-clappered silver bellThat must be made to clink in chime,A dainty thing's the Villanelle;And if you wish to flute a spell,Or ask a meeting 'neath the lime,It serves its purpose passing well.You must not ask of it the swellOf organs grandiose and sublime--A dainty thing's the Villanelle;And, filled with sweetness, as a shellIs filled with sound, and launched in time,It serves its purpose passing well.Still fair to see and good to smellAs in the quaintness of its prime,A dainty thing's the Villanelle,It serves its purpose passing well. I absolutely adore Henley and having read Invictus multiple times I thought I'd go for a shorter collection this time. 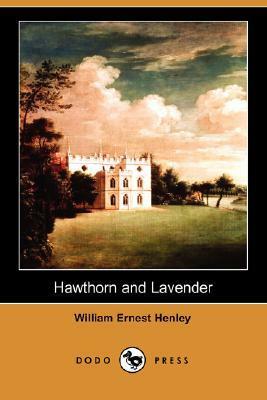 Unfortunately the second and third parts of this short book are my least favourite works of Henley. It's his London series and his 'in memory' works for other famous people and his friends. While I don't necessarily dislike them, I much prefer his other work. William Ernest Henley - William Ernest Henley was an English poet, critic and editor.